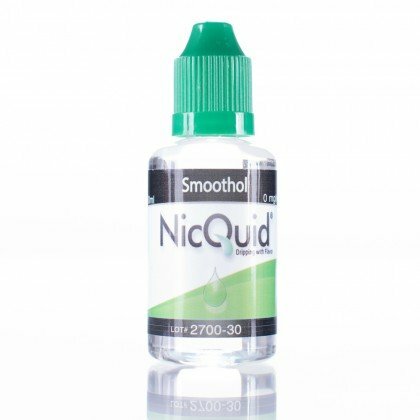 NicQuid Smoothol is a creamy, sweet, cool, and strong mint/menthol. If you are looking for a smooth, cold dose of the good stuff this is for you. It will easily rival your favorite menthol cigarette. On a scale from 'amateur' to 'Chuck Norris', this is a straight up 'moon landing'. Enjoy!